Ivanović's first tournament was at the Mondial Hardcourts, in Gold Coast, falling to Shahar Peer 5-7, 6-4, 6-4 in the quarterfinals. Her next tournament was the Sydney Medibank International. After demolishing Australian Casey Dellacqua, she downed Nadia Petrova in straight sets, before losing, in the quarterfinals again, to an in-form Nicole Vaidišová 6-4, 6-2. Ivanović entered the 2007 Australian Open seeded 13th. 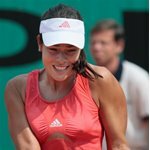 She defeated American Vania King, losing only two games, and survived a three set scare against Polish player Agnieszka Radwańska, 6-2, 3-6, 6-2. Ivanović faced No. 22 Vera Zvonareva in the third round, but fell in straight sets 6-1, 6-2. Immediately after the 2007 Australian Open, Ivanović announced via her official website that she has terminated the services of her former coach, David Taylor. She is currently coachless. At the 2007 Toray Pan Pacific Open in Tokyo, Japan, Ivanović made her third final, defeating Shenay Perry in the first round, Mara Santangelo in the second, Jelena Janković in the quarterfinal, and Maria Sharapova (who retired while trailing by a set) in the semifinal. 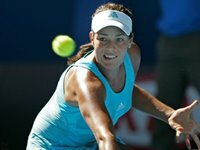 After recovering from a break down in the first set against Hingis, Ivanovic lost seven straight games from 3-4 to 6-4 4-0 before losing 6-4, 6-2. Soon after she left for Antwerp where she made the quarter-finals,losing to finalist Kim Clijsters. 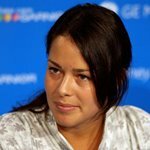 Ana was then off to America where she participated in the Indian Wells tournament. She quickly made the 4th round, dropping only 6 games in her first two matches against Vania King and Alicia Molik, but in the 4th Round she was upset by Austrian Number 1 Sybille Bammer who ended up making a surprise run to the Semi-Finals. Her next event was Miami, where she was upset by rising star Yaroslava Shvedova in the second round. Ana then continued her stay in America, for the American Green-Clay Court season. Her first tournament on clay, for the year, was at Amelia Island. After a opening round scare against China's Shuai Peng, where Ana was down 1-6, 0-2, 15-40, she picked up amazing form, making it to the Semi-Finals and crushing top 10 player, Jelena Janković. She then fell to Tatiana Golovin in a tight three setter. In her first appearance at the Family Circle Cup, she lost to Vera Zvonareva in third round. She then went off to Barcelona to train for a few weeks, before participating in three bigger red clay events. Ivanović first Went to Berlin for the2007 Qatar Telecom German OpenChampionships, where she won her first Tier I Clay Court Title. She beat the likes of a resurgent Patty Schnyder and World Number 4 Svetlana Kuznetsova 3-6 6-4 7-6 (4) in the final - during which she badly hurt her ankle, which forced her to withdraw from the Rome Clay Tournament. 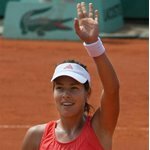 The win saw her propel in the WTA Rankings to her first Top 10 entry at number 8.